This exhibition has now closed. Check out more exciting events by visiting our main site. Are you ready for an adventure? 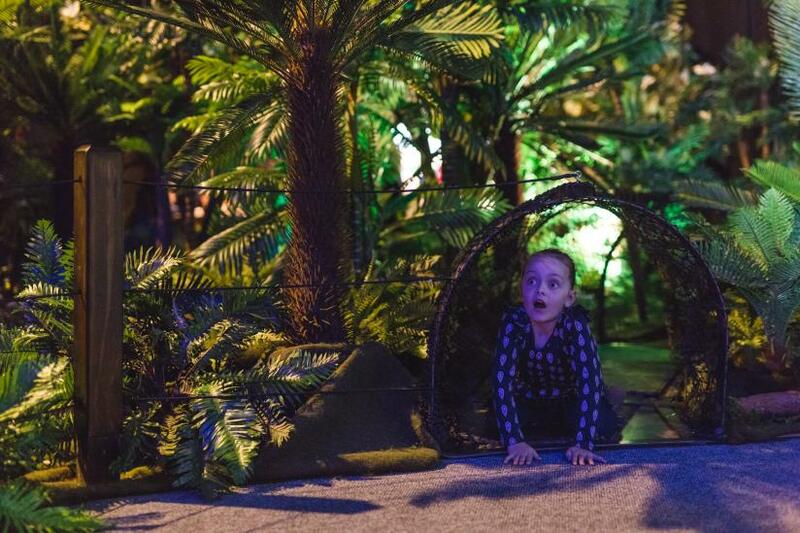 Travel back in time as the Museum welcomes you to the Cretaceous period! 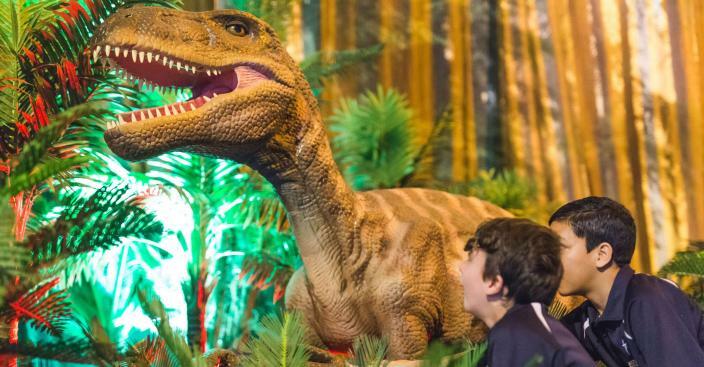 Using paleontological research this exhibition showcases more than 20 life-size, moving animatronic dinosaurs. Learn about animal and plant life during the Cretaceous, how a meteorite triggered a mass extinction, how fossils are made, and if birds are really dinosaurs. 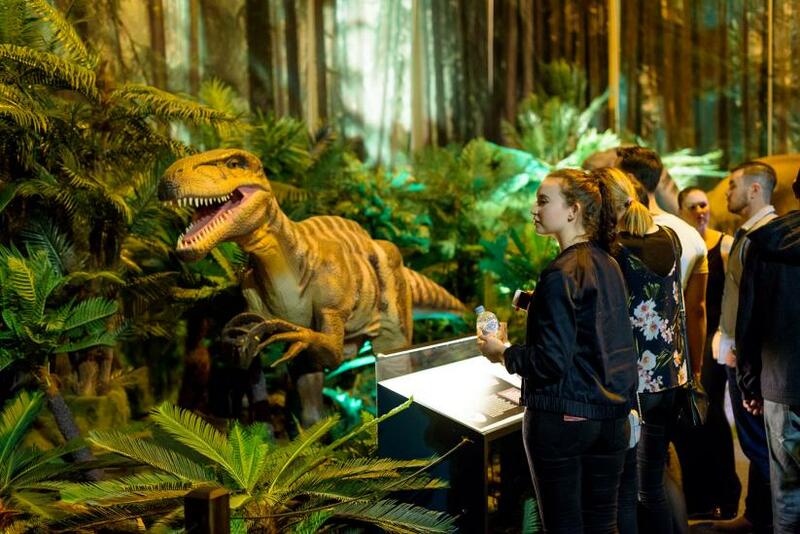 Grab a set of tools and head to the fossil dig pit, create your own dinosaur, or try your hand at the Wheel of Meal gameshow to test your own survival! With your cameras at the ready, prepare to enter a world ruled by dinosaurs. Venue: Pavilion 6, Perth Convention and Exhibition Centre. Caption: A group having a roar-some time. Image copyright Western Australian Museum. Caption: A Spinosaurus and Carcharodontosaurus stand off. Image copyright Western Australian Museum. 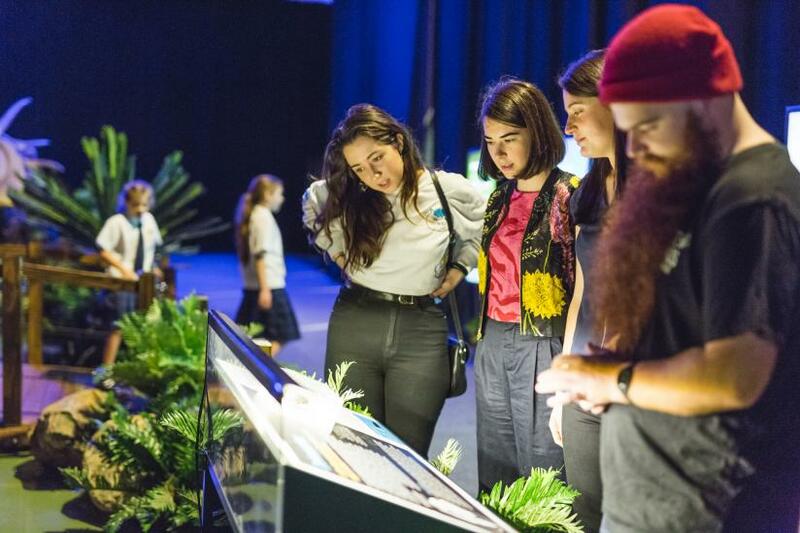 Caption: Friends learning about Beelzebufo - a giant prehistoric frog. Image copyright Western Australian Museum. 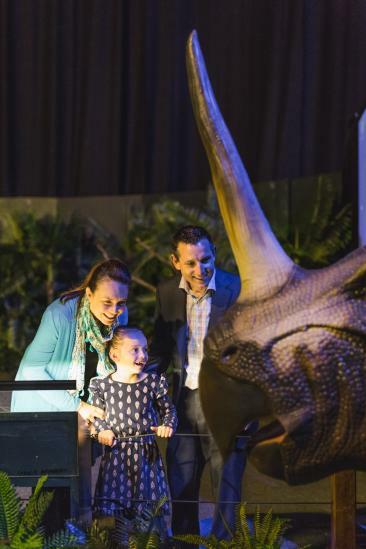 Caption: A family gathered around a horned dinosaur. Image copyright Western Australian Museum. Caption: Budding fossil hunters at work. Image copyright Western Australian Museum. 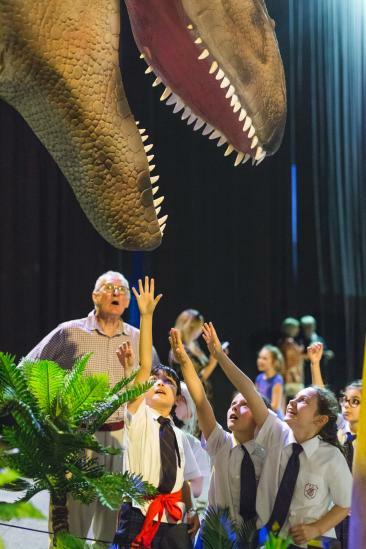 Caption: Brave students reaching towards the Spinosaurus. Image copyright Western Australian Museum. Caption: Friends posing with a dinosaur. Image copyright Western Australian Museum. 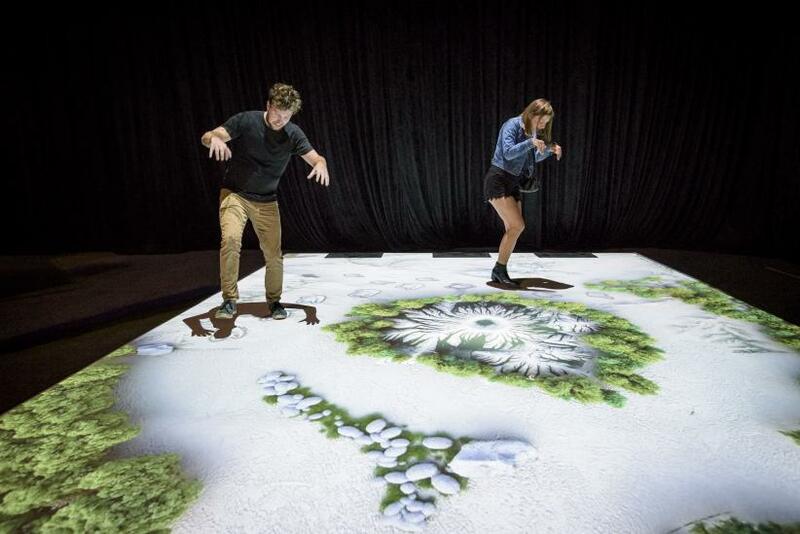 Caption: The interactive dinosaur trackway game. Image copyright Western Australian Museum. Caption: Hands-on learning. Image copyright Western Australian Museum. Caption: Students standing around the fearsome Spinosaurus. Image copyright Western Australian Museum. Caption: Tunnel exploration for the adventurous. Image copyright Western Australian Museum. 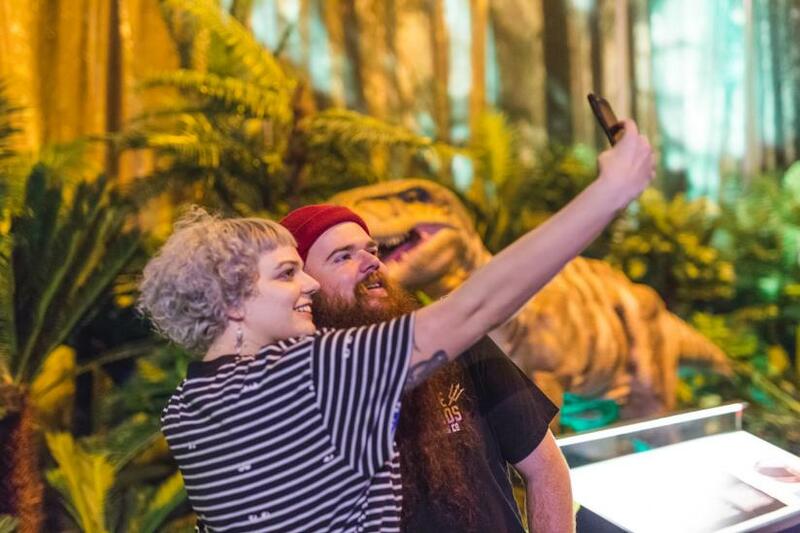 Caption: A couple take a selfie at the exhibition. Image copyright Western Australian Museum. 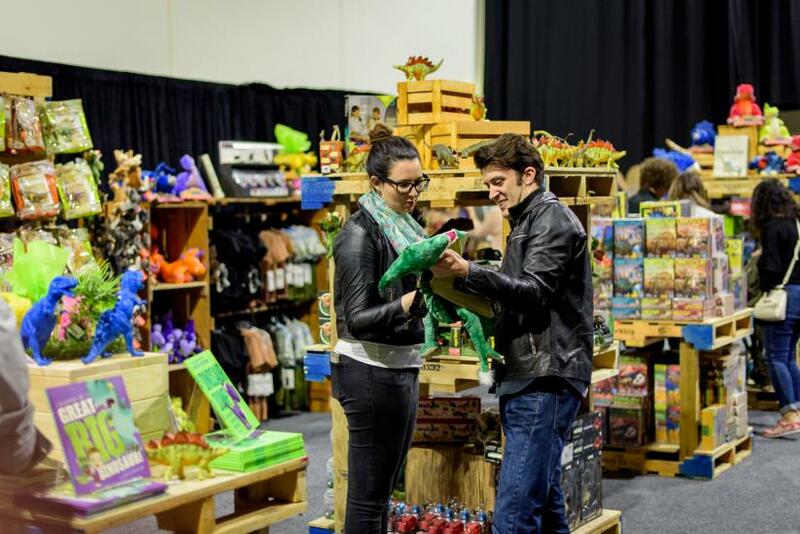 Caption: The Dinosaur Discovery gift shop. Image copyright Western Australian Museum. Sessions have 30 minute exhibition entry times, but you are welcome to stay inside Dinosaur Discovery for as long as you like. A limited number of tickets are available for sale at the door. Special Offer - Free Entry for Grandparents! Want to keep the grandkids entertained? 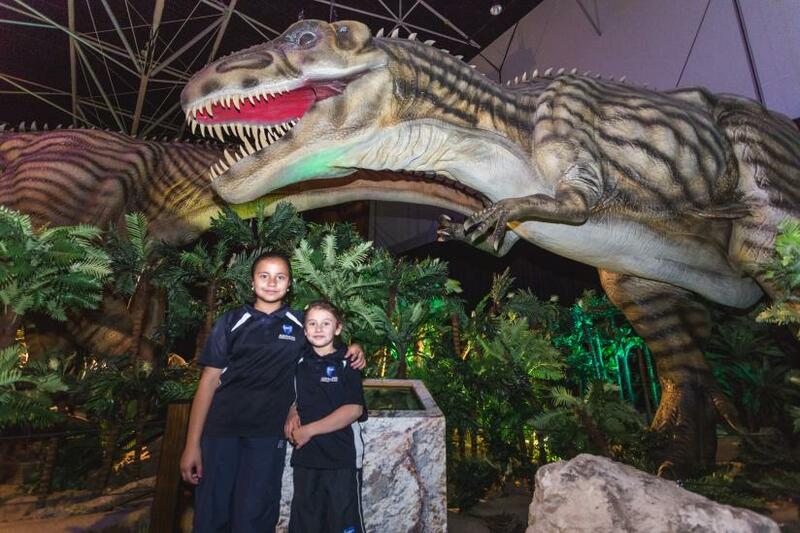 For the remainder of the school holidays, grandparents receive free entry to Dinosaur Discovery*! 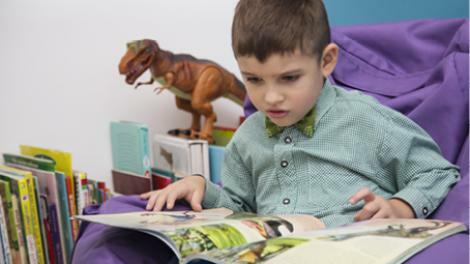 Simply quote “Grandparents Go Free” at the Dinosaur Discovery front desk or call 1300 134 081 to book your tickets. *Free adult entry for up to two grandparents with a full paying child. Caption: The WA Museum's Dinosaur Discovery. 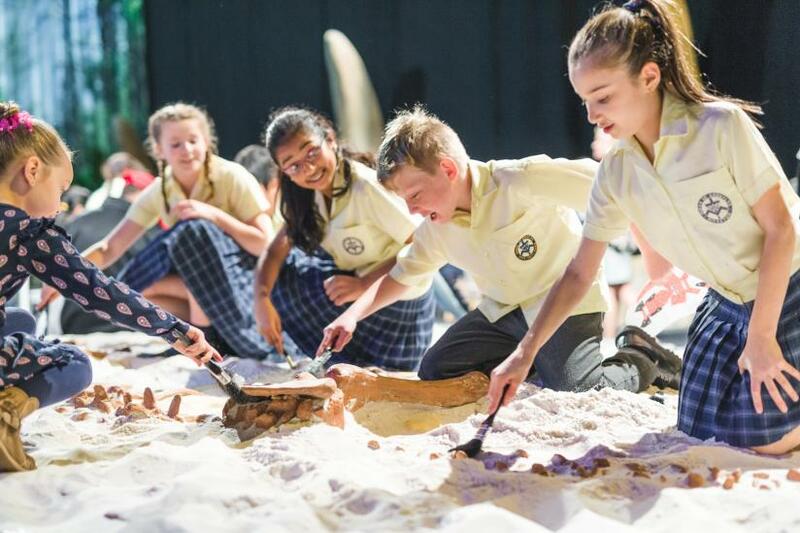 Farewell Dinosaur Discovery with us over the Australia Day long weekend. 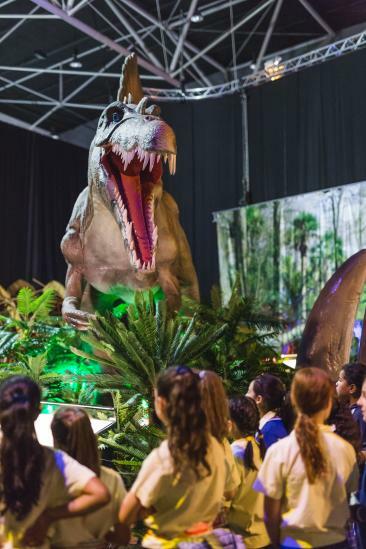 Check out the Cretaceous Carnival event page to see the full range of free activities on offer for your family! Win 1 of 10 WA Museum Mega Passes! 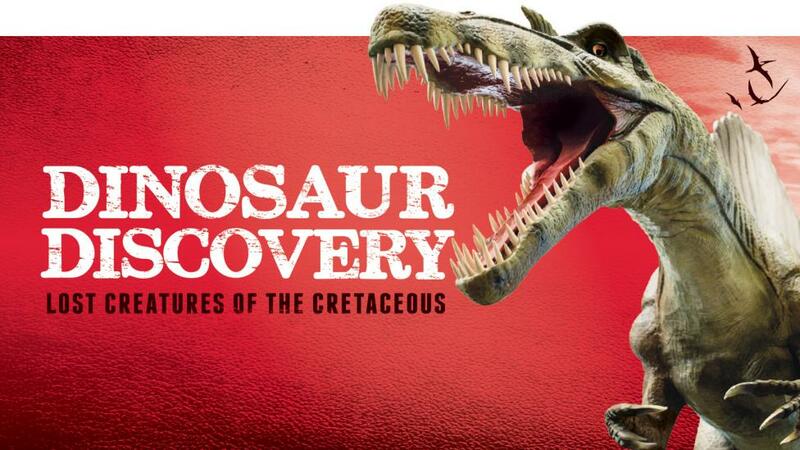 To celebrate the end of Dinosaur Discovery we are giving away 10 Museum mega passes! 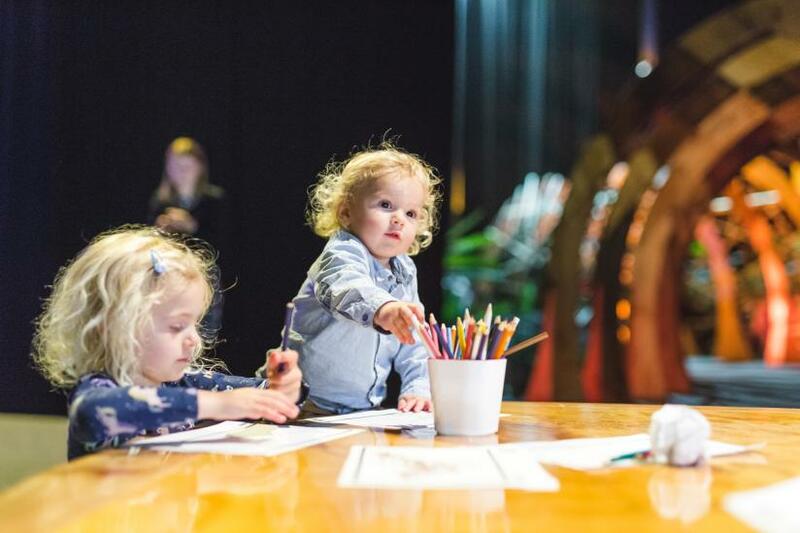 This incredible prize gives you and your family free entry to the Museum's next five ticketed blockbuster exhibitions, starting with Horrible Histories - Pirates: The Exhibition. To enter, simply complete an entry form during your next visit to Dinosaur Discovery before it closes on Sunday 28 January. Winners will be drawn on Monday 5 February and notified by phone. Each pass is worth more than $500. Caption: Perth Convention and Exhibition Centre. 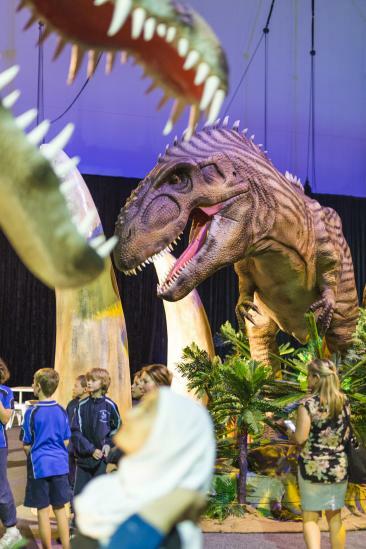 You can find Dinosaur Discovery at Pavilion 6 of the the Perth Convention and Exhibition Centre (PCEC), located at 21 Mounts Bay Road. 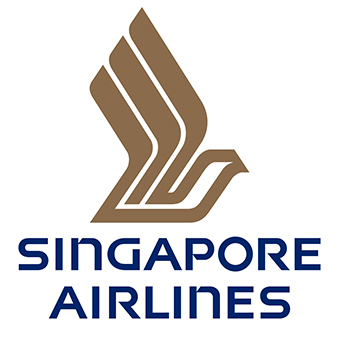 It can be accessed by car, train, bus, taxi or on foot. 24 hour parking is available directly under the Centre, providing direct access entry to PCEC during opening hours. All public areas are wheelchair accessible. Courtesy wheelchairs are available from the Information Desk on Level 2 (subject to availability). Unisex disabled toilets are situated throughout the Centre. For further venue information visit the PCEC website.